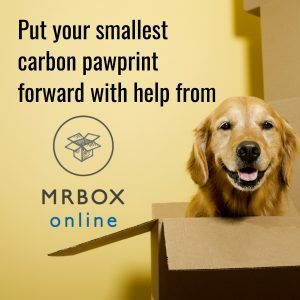 Buy this item and earn 1,166 points valued at $11.66. Transports up to 2,100 lbs. 4" center swivel back caster and 10" inset wheels for smooth handling and maneuverability. 1-piece rotomolded plastic is easy-to-clean and resists pitting and corroding. 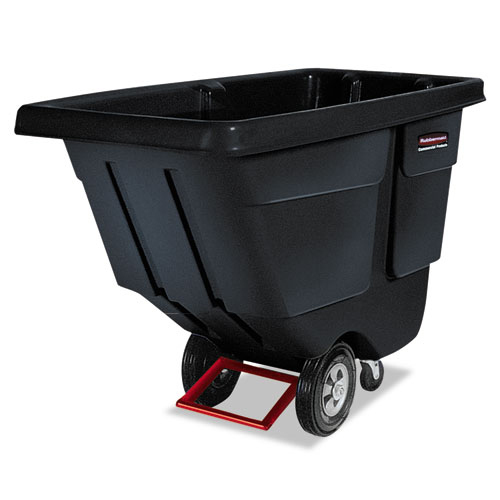 Size: Length: 72.25" Width: 33.5" Height:43.74"
The Rubbermaid Commercial Tilt Dump Truck offers industrial strength construction to transport heavy loads up to 2,100 lbs. with ease. These dump trucks are created with seamless 1-piece rotomolded plastic bodies and reinforced lips. 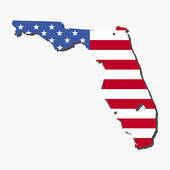 The sturdy, plastic construction won't rust, dent, chip, or peel and is easy to clean. 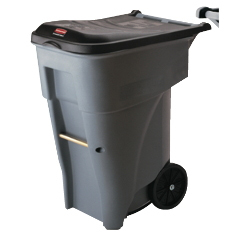 A 4" center swivel back caster provides easy handling. 10" blow-molded polypropylene wheels are inset to protect surroundings. 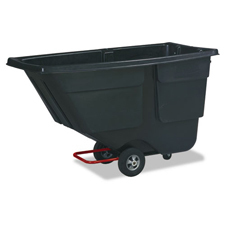 The dump truck features a powder-coated steel frame for corrosion resistance. The dump truck is easy to maneuver through commercial doorways and onto elevators. A constant force design allows for controlled dumping by one person.